Tutorial Tuesdays – 5 Amazing Vector Portrait Tutorials! The human face is the one of the most drawn, painted and photographed part of the human body. Most aspiring artists start with working on recreating the human face in their drawings and try to capture emotions. 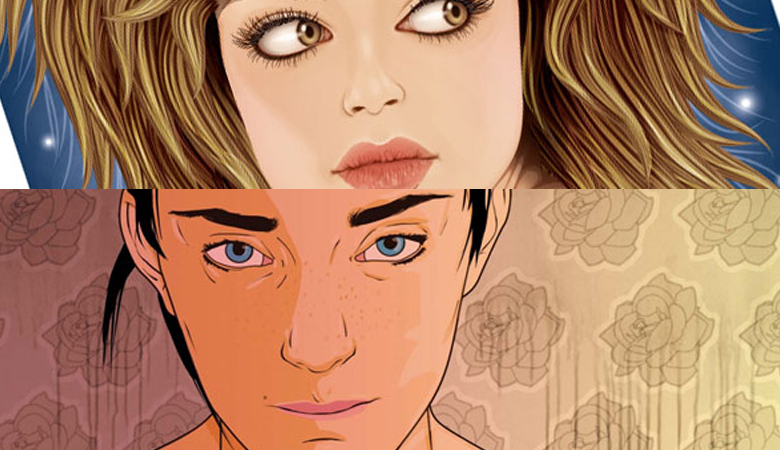 Vector art on the other hand has been a staple art style and has been becoming one of the favorites of artists today. That is why today we here at You the Designer are providing you, our dear readers some of the most amazing vector portrait tutorials both old and new that we have found all over the Internet to fill your noggins of knowledge and inspiration. Let’s get crackin’ shall we? A simple and yet fun exercise that will turn your portrait into a Picasso-inspired piece that you can do in a few hours using Adobe Illustrator. Instead of making a regular portrait why not turn your portrait in to a sort of map. This amazing tutorial also teaches you how to put textures in you work. Big fan of Zodiac signs? Try turning yourself into one! This tutorial is great for those who have learned the tricks and quirks of the pen tool. If you think you are savvy enough maybe you should try and add some twist to your portrait by using a dripping effect. Danielle Caballero shows us how to turn ordinary photos into amazing illustrations by using Adobe Photoshop. What do you guys think? Share your thoughts below at the comments section and if you have tried using any of these awesome tutorials do share to us what you guys have done!